They promise a link on Weds. You have to sign in, but you can watch it now on the ITV Hub. I’ve just added the link at the bottom of this post. I could load some behind the scenes footage. It is not so lively but we took a record of how the item was made, along with behind-the-scenes photos. It is just very different. You really have to read the book again to appreciate the adaptation. Reblogged this on Swallows and Amazons. Thanks – I’ll change the text. I’m of course going to the showing at the BFI in London on 14 August. The 1970s film will be a hard act to follow, but I’m very optimistic. In the trailer, Nancy has a Northern accent – a bit startling, as her family was clearly upper-middle class and probably used ‘received pronounciation’ of the BBC type, but a valid reminder of her Lake District roots. You’ll have to write a review! Ruth and I missed the ITV article last week – we were spending a few days in Coniston . 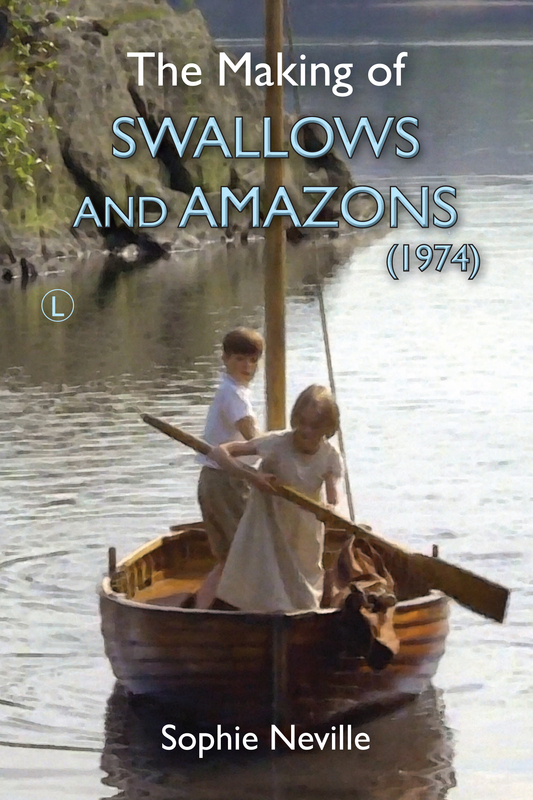 The new `Swallows and Amazons ( 2 ) ` looks good as a new slant on A.R.`s life – MI6 connections etc. and I am sure the film will attract many young viewers with its scenes of action . Yes, I was a amazed he hadn’t read S&A but I think Ralf Spall, who plays Jim turner did a little more research. How was Coniston? What did you manage to do there? We spent the week visiting places like Tarn Hows , Ruskin`s house Brantwood , Rydal Mount , Dove Cottage , Wray Castle etc. Coniston is a great `base ` for a lakeland visit as it does not suffer the huge tourist overload like Windermere or Grasmere . We stopped for a coffee at Bank Ground Farm which was good to revisit after many years , and a trip down Coniston , passing The Island was a perfect way to spend a sunny August afternoon . What a great holiday! Not sure when I can make it north but I am starting to make plans. Forgot to mention , we saw `Amazon` , the original boat which belonged to Brigit Sanders and was the subject of a restoration at the very start of TARS . She now rests in the Ruskin Museum in Coniston ( which is well worth a visit for the Bluebird exhibition . Wonderful! I saw the RNSA that was used to portray Swallow in the new film on the parade at Cowes yesterday. I wonder how different she would be to the dinghy Ransome once sailed, which I believe had a white hull and a keel. It’s amazing that it isn’t busier on the lakes. Ransome had huge pressures himself – with deadlines for articles, so much so that Roger Wardale insists he was too busy to have taught the Altounyan children to sail. The evidence is in his diaries. Facinating. Have you read any of Roger Wardale or Christian Hardyment’s biographical books on Ransome? Yes, and he wouldn’t have been able to write a word about his activity for SIS. He was never an under-cover agent or ‘spy’. I suspect he only passed on information, just as journalists do today, but Evgenia was wary about strangers turning up in the Lakes. Have you seen ‘The Secret World of Arthur Ransome’? I have the Iplayer link and a letter from Mrs Ransome on my blog.